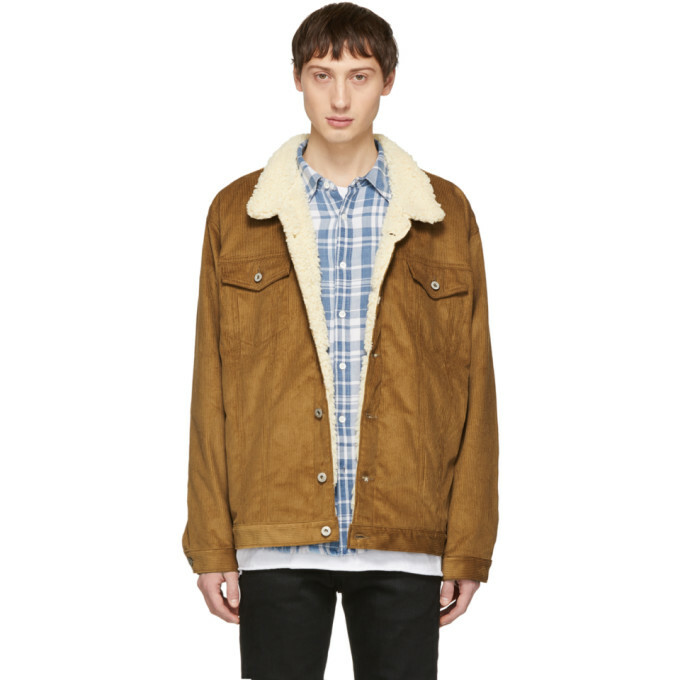 Long sleeve cotton corduroy jacket in ‘camel’ brown. Sherpa trim in off-white at spread collar. Button closure at front. Flap pockets at chest. Welt pockets at waist. Single-button barrel cuffs. Sherpa lining in off-white. Logo-engraved silver-tone and brass-tone hardware. Tonal stitching.